Engineering & interesting stuff !!! : Which type of Reinforcement steel is more corrosion resistant? Which type of Reinforcement steel is more corrosion resistant? Which type of bar reinforcement is more corrosion resistant, epoxy-coated bars, stainless steel bars or galvanized bars? 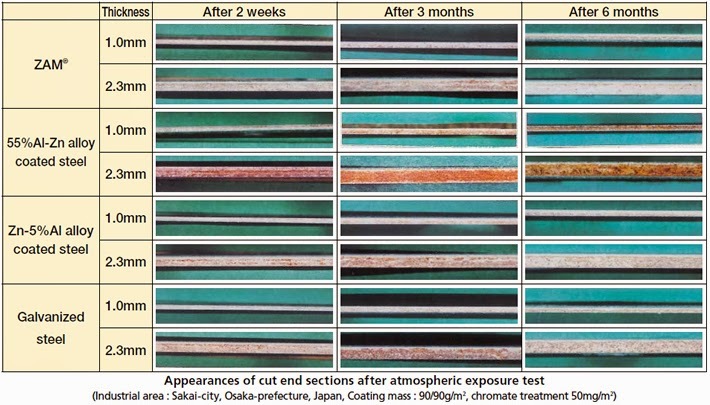 Based on the experiment conducted by the Building Research Establishment, it was shown that the corrosion resistance of galvanized steel was the worst among the three types of bar reinforcement. For galvanized steel bars, corrosion started to occur when a certain chloride content in concrete (i.e. 0.4% by cement weight) was exceeded. However, for epoxy-coated bars, they extended the time taken for cracking to occur when compared with galvanized steel bars. The best corrosion resistant reinforcement among all is stainless steel. In particular, austenitic stainless steel stayed uncorroded even there was chloride contamination in concrete in the experiment. Reference is made to K. W. J. Treadaway (1988).